Good Morning my friends, hope your Thursday is off to a great start. Mine will be after I have my Starbucks, lol. It's that time of the month, time for some Scrapper's Delights Inspiration. 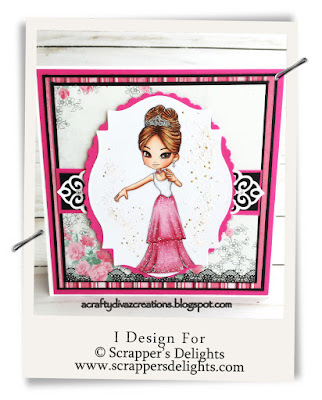 Today's card features Princess 2 digital stamp. 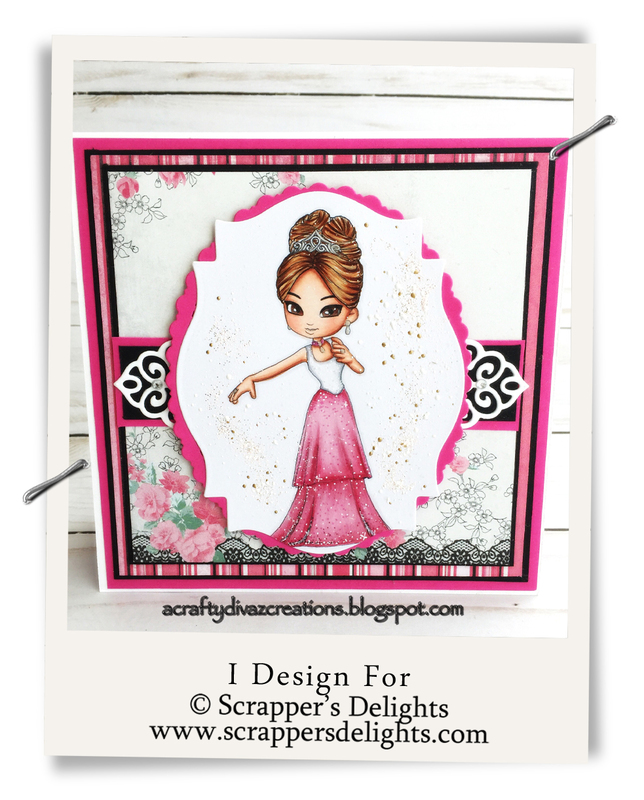 This cutie is classy and elegant and I love the way the card turned out. I used Authentique Classique: Pretty designer papers for this card. This paper collection was perfect for what I was going for when I colored her up. The image is printed on copic x-press it blend card stock and I colored her up using my copics. I added some details to her dress using a white gel pen to create the sparkle affect. I then die cut the image out using a die and layered a oval scalloped die from my stash behind the image. I used some shabby pink frontage around the image. I added a ornate border behind the image to add additional details with some rhinestones. Well that's all I have for you today, its been fun sharing this cute card with you. 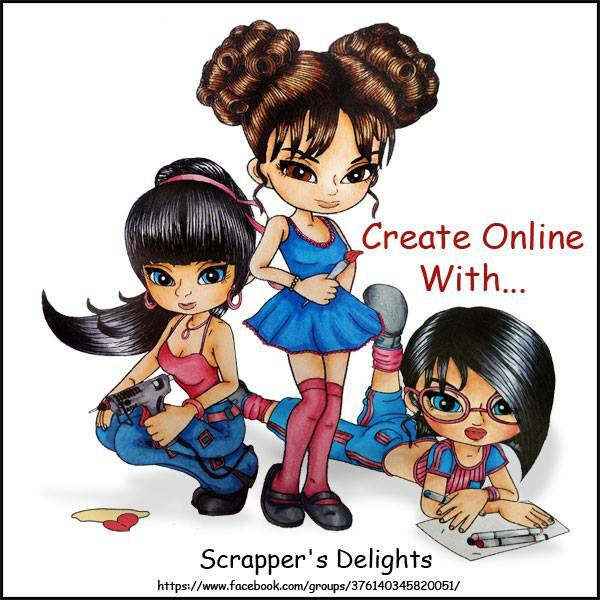 Definitely check on Scrapper's Delights store if you are interested in this or any other their cute digital stamps. If you are on Facebook, stop by Scrapper's Delight Fan group and post your creations using any of the Scrapper's Delights images. Until next time, have a Happy Scrappy Thursday!